"Continuing Analysis and Surveillance System (CASS) Based Reliability Program"
New business practices and modern Continuing Analysis and Surveillance System (CASS)-based reliability programs and policies are needed to provide the means for operators to make significant and justified adjustments to scheduled maintenance task or check intervals. The airlines need to apply best business practices and a modern CASS-based reliability program to dynamically adjust their scheduled maintenance requirements in a professional, safe and realistic manner. 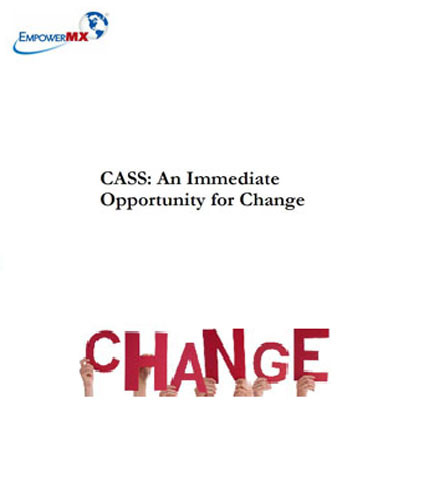 What are the characteristics of an effective CASS based reliability program? What are the reasons that they may highlight a problem with air carrier CASS based reliability programs? What are the program elements and expected benefits associated with the CASS based reliability program?